We made this custom cherry sideboard a couple of years ago for one of our major clients who likes to push the envelope of our capabilities. 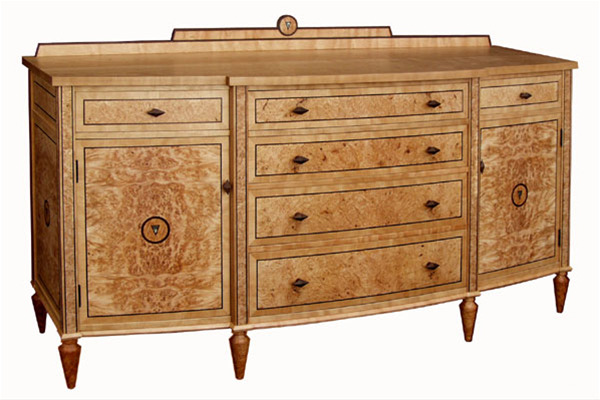 It features a curved front, four way match maple burl veneers, abalone and rosewood inlays, turned burl legs, and an interior specifically designed to house a handcrafted pottery collection. It went on to win design awards from Custom Woodworking Magazine and the Vermont Wood Manufacturing Association. Price on request.